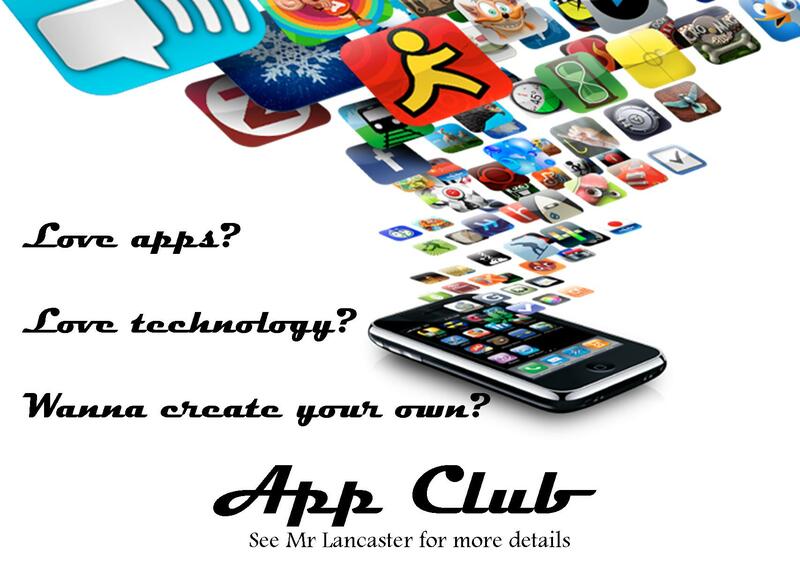 The App Club at Monk’s Walk School is a club for students in any year to get together and work on researching and developing their own apps. The club is working alongside a digital education company that is trialling this idea with us. Our students are currently on Phase 1, a six week program to develop an idea based around relieving exam stress. Students have researched, and developed their idea based on this theme and are currently working on a pitch that will be given (Dragon’s Den style) to representatives from the company. During the summer holidays the company will go away and produce the apps with Phase 2 getting the students to come up with a sales strategy to promote and ‘sell’ the product to fellow students in the school and around the country. Once we have trialled the club we will then work with the company to roll the idea out nationally with our students becoming ‘Appbassadors’ and selling our product to turn a profit for the club and the school as well as using the technology to create specific school interest apps. 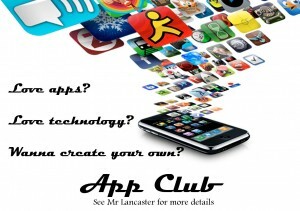 i’d be really grateful for any info re app club. it sounds great.